Does your family like educational games? 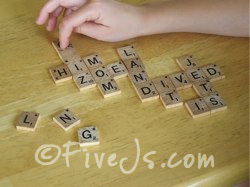 Speed Scrabble is a fast and fun educational game for the entire family. 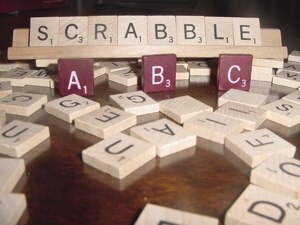 Scrabble is often thought of as slow, boring game that can only be won — or enjoyed — by people with enormous vocabularies. But Speed Scrabble is different. 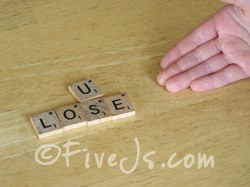 Unlike the old, boring Scabble, Speed Scrabble is fast-paced, and players who know only short words can excel. 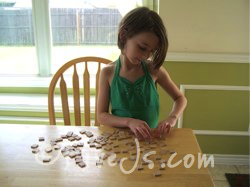 Not only that, but Speed Scrabble is a fun way to practice spelling, making it a valuable game for homeschoolers. The object of the game. To be the first to use all your tiles to create a single crossword puzzle. Number of Players. 2-5 players. You can play with more players if you use more than one set of Scrabble tiles. Materials needed. One set of 100 Scrabble tiles. You won't need the Scrabble board. Setting up for play. 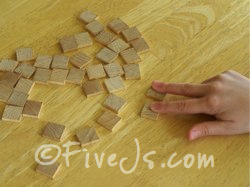 Lay all the tiles face-down on the table to form a draw pile. Someone says 'Go' to start play. All players turn their tiles over in front of them and try to arrange them to form a single crossword puzzle. When one person is successful in using all the tiles that were in his hand, he says 'Go' and all players reach in to take 2 more tiles from the draw pile. They add the tiles to their hand. Using the new tiles along with the ones already in their hand, the players continue to add to their crossword puzzles. When a player uses all his tiles and says 'Go', each player again reaches in and draws 2 more tiles from the draw pile. Scoring. After a player goes out, everyone counts up all the points on the tiles in his crossword puzzle. Tiles used more than once are counted twice and blanks count for nothing. To make counting easier, count all your down words first and then all your across words. If a player has any leftover tiles that weren't used in his crossword puzzle, he must subtract the value of all the unused tiles from his total score. And yes, it is possible to end a round with a negative score. Winning the game. All the scores are recorded from the round, and then additional rounds are played until a single player has accumulated a predetermined score (such as 250, 500 or even 1,000 points). The fewer the number of players, the higher the winning score could be since each round will produce a larger score for each player. Additional rules. Of course, it's perfectly fine to make up your own rules, especially when playing with young children, but here are the two basic rules we generally follow. If the word can be found in an English dictionary, and it's not a proper noun (i.e. capitalized all the time) or abbreviation, it can be used. Only words of 2 letters or more may be used. Words like ut, re, mi, fa, ti, and la are allowed since they are legitimate words found in the dictionary. Dictionary. My family usually plays with a dictionary or two on the table. When we're not sure how to spell a word, we look it up. The dictionary is also useful to double check questionable words at the end of rounds. 'Cheat' Sheet. We also created a cheat sheet of sorts that contains a list of words using w, v, j, k, q, and q w/o u. This list comes in very handy during play. Feel free to download the cheat sheet for your personal use. It's formatted so that two cheat sheets are printed per page. Four-letter-word Variation. To make the game substantially more challenging, you can implement this rule. At the end of the round, each word in a player's puzzle must be at least four letters in length. This challenging variation is best played with only 2 or 3 players. It can dramatically increase the amount of time required for a single round, but it's a lot of fun (for geeks like me, anyway). 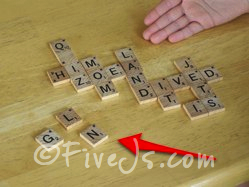 Your kids will not know they are learning when you play this fast and fun speed scrabble educational game. So what are you waiting for? I'm sure you have a long-forgotten Scrabble game in your closet. 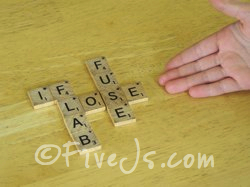 Find it, dust it off, and play some Speed Scrabble with your family! Oooh, I love this twist! .-= Phoebe @ GettingFreedom´s last blog ..Apple Cinnamon Pizza =-. I love speed Scrabble! It's far superior to regular Scrabble! I love speed scrabble! I learned it a few summers ago and I am addicted! .-= The Happy Housewife´s last blog ..Organizing with Binders: Clean Home, Fresh Start =-. We MUST play this in Breck! I play a *mean* speed scrabble! This is very similar to Bananagrams. We also got a fun card game for Christmas called Scrabble Slam that is also fast moving. 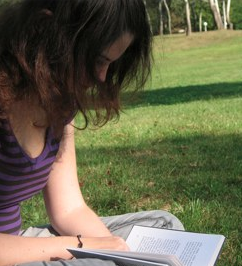 .-= Kristen´s last blog ..2010 Goals Revisited – 1st quarter update =-. @Kristen, We got Scrabble Slam for Christmas as well. We played it a couple times, but it really pales in comparison to Speed Scrabble, so I doubt we'll play it much. You're the second person to mention Bananagrams. I must Google it! @Joy, Yeah, we haven't played Scrabble Slam since then either. But we've been really slack in our game playing. Definitely look at Bananagrams. It has some extra rules to it that make it really exciting. (or should I say nervewracking??) One other fun word game is Quiddler. It's by the makers of Set. This looks so fun! 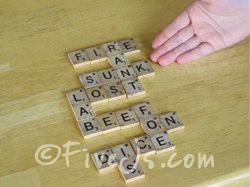 We love scrabble tiles for games other than traditional scrabble, so I will have to add this one to the list. .-= Kate´s last blog ..Gluten Free Bran Buns… Yum! =-. Sounds like fun! We'll have to try it soon. .-= Robin´s last blog ..Toothless! =-. Sounds like fun! I'll have to try it with my kiddos. Check out the online version, if you haven't already! We played tried this game last night. We had so much fun! It would have been easier, especially for my 8 yr old, with the word cheat sheet. So I just printed it out for next time. Thanks for posting about it. .-= Robin Byus´s last blog ..The runner =-. @Robin Byus, Yay! So glad you enjoyed it! This is like bananagrams. When it became too easy we added a twist. You could only create nouns. I used to play a slightly different version during lunch at my office. All the tiles in the middle, everyone takes 10, when someone can't make any more words, or has used all their tiles, they say "Tile" and everyone takes a tile. When all the tiles are gone, you count up your left over tiles and the one with the least wins. 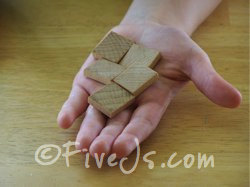 It makes it very easy for even young children to play, since the scoring is so simple.